our team of experienced, dedicated caregivers. and thank them for all that they do to promote the safety and well-being of our residents. 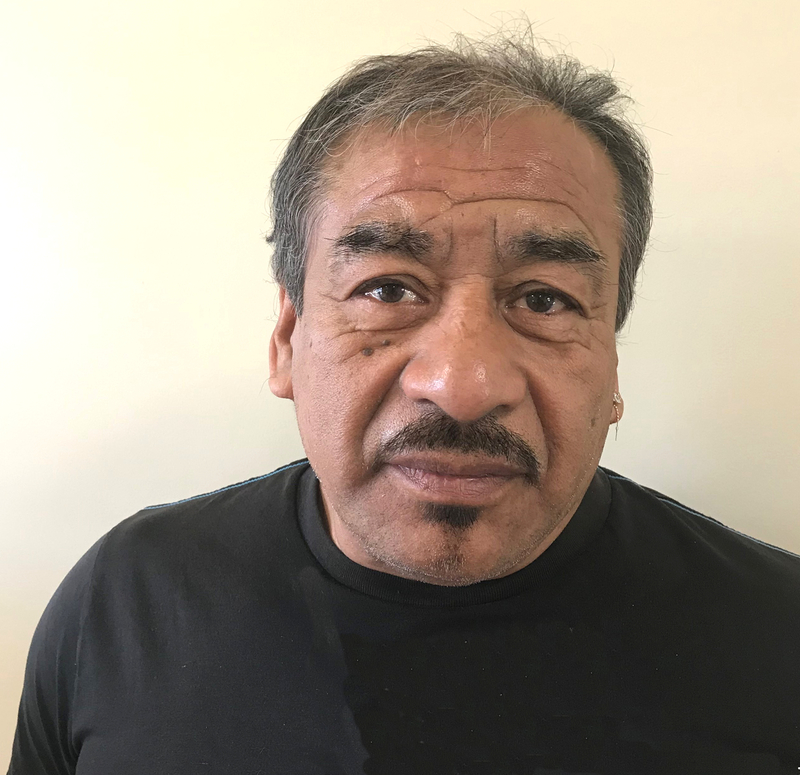 Jesus is a talented chef who joined the staff at our sister home, Alexander Gardens in 2018, and this January also joined our team at Villa Alamar. He has over 20 years of experience as an Italian Chef, working in renowned restaurants, such as Montecito’s ViaVai and Pane E Vino. Now mostly retired, Jesus continues to do part-time what he loves doing the most: prepare delicious meals for the residents at Villa Alamar, with great pride in presentation, and with a renewed sense of service to our senior community. Indeed, Jesus has become an invaluable member of our team, always ready to lay a hand whenever he sees an opportunity to be helpful and assist others. We can all count on Jesus not only for his talent as a cook but also for his big, generous heart. And it is always nice to know that Jesus is in the house! Maria is affectionately known at Villa Alamar as Marikita, a beloved caregiver who has been with us for 16 years! Our residents count on her and appreciate her gentle touch and thorough attention. Marikita has vast experience as a caregiver and is genuinely dedicated to our seniors affected with memory loss and other related conditions. She knows that they need help and are not always able to understand what is happening to them, which makes her much more the willing to provide care with love and compassion. Marikita is a mother of three and a grandmother of three, who she often babysits on her spare time. And do not let her small stature fool you: Marikita is a power to contend with! She plays basketball for fun and exercise–and she rips on a standard court! The first time I held the hand of a dementia patient, it was my grandmother’s — and so started Maricruz’ passion for dementia care. This beloved caregiver has been with Villa Alamar for 18 months, but her gentle touch and thorough attention to the physical and emotional needs of our residents were quickly recognized by her colleagues and supervisors. Maricruz shows sincere kindness towards our residents, and she says it is an honor to be able to make a difference in the lives of people when they are the most vulnerable. Maricruz is equally caring in her personal life. She is currently assisting both her parents who have medical needs and helping them raise her two younger brothers. At Villa Alamar, Maricruz’ extraordinary dedication is well appreciated as she works to keep all residents safe and properly assisted in her role as Medication Technician. Born and raised in Santa Barbara, Yesenia started working with seniors at the age of 16, when she took a caregiving position at the Friendship Manor community in Goleta. 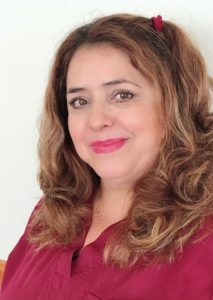 That was when her passion for senior care was first sparked, and she proceeded furthering her education to achieving her Medical Assistant certification at our own Santa Barbara City College, and working for seven years with the Visiting Nurses and Hospice Care Association. 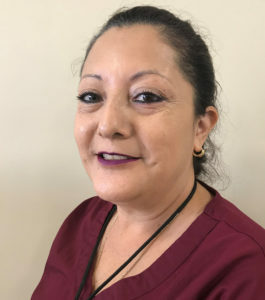 For the past 17 months, we at Villa Alamar have learned to rely on her watchful and caring eyes as she continues serving our community as a Medication Technician. 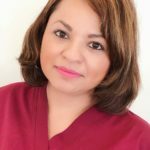 With acute attention to detail and genuine dedication to the health of our residents, Yesenia is trusted by her colleagues and adored by our residents. 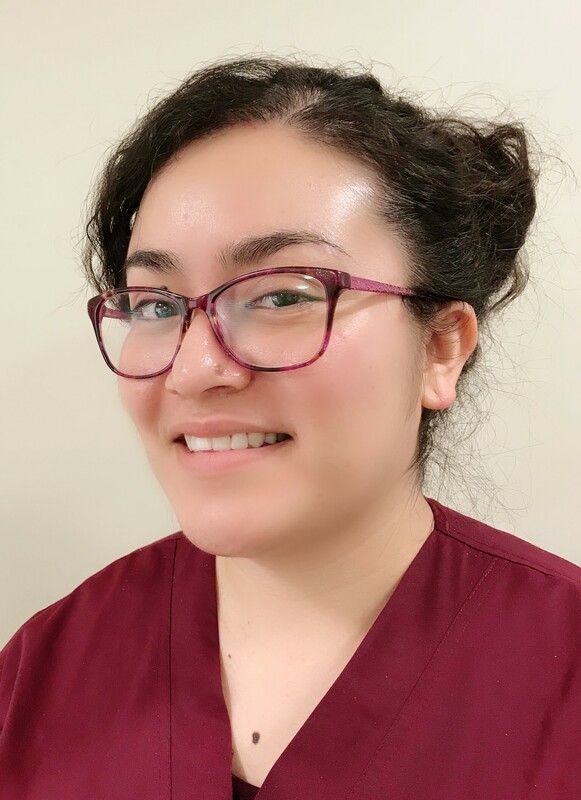 “I love when I catch a glimpse of our residents”, says Yesenia, “on those special moments when they realize who they really are and that we are here to care for them. And when they look at you and say: Thank you! – you know it is really sincere and it makes my heart melt… they remind me every day of how much I love my job!” The high quality of her work indeed reflects her passion and dedication! The Leons are expecting their third child, who will complete the family with their two sons of 4 and 8 years of age. The family enjoys their free time together at local parks, going to as many movies as they can, and having a lot of fun at Golf&Stuff, one of their favorite hangouts! Yesenia has been a beloved caregiver at Villa Alamar for over 19 years. Her 5 children practically grew up playing in our courtyard, visiting with our residents, and bringing joy to our seniors. Her son Alex, now 29, today assists our community with coordinating all construction and repair crews. Alex has the same sweet, caring way of addressing our residents for which Yesenia is known. Yesenia is extremely dedicated to the well-being of our residents. She says she holds a special place in her heart for each one of them, and tries her best to fulfill their need for attention, love, and affection. She also says that she can relate to them, she sees herself in them, and hopes that one day, when she is the one who needs care, she will receive the same careful, loving attention that she now dedicates to Villa Alamar residents. When not at work, Yesenia enjoys spending time with her 6 grandchildren, at the beach or at a local park. She also enjoys hiking in our mountain trails, end experiencing the local scenery. An important member of our community, Yesenia well represents the spirit of caregiving with joy, dedication, and affection. We at Villa Alamar are extremely thankful for her many years of service to our residents. Blanca has been an esteemed member of our staff since 2014. 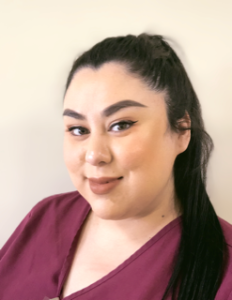 Although she perfected her caregiving skills taking courses in Memory Care and in Compassionate Communication at the Santa Barbara City College, it is her innate knack for caring that makes her an extraordinary assistant to our residents. Blanca understands the emotional needs of a person affected with dementia or memory loss and dedicates herself into making sure that our residents feel protected and treasured. She takes time to learn what makes each one of our residents content and works hard to make it happen. According to Blanca, “our residents deserve to be treated with the same affection and sensitivity” with which she once cared for her own small children. We couldn’t agree more! Her 4 children are all grown up now and have children of their own, and Blanca still reserves her Sundays to spend with her family. She also understands the need for self-care, and when not attending to our residents at Villa Alamar she takes plenty of time to rest and exercise. 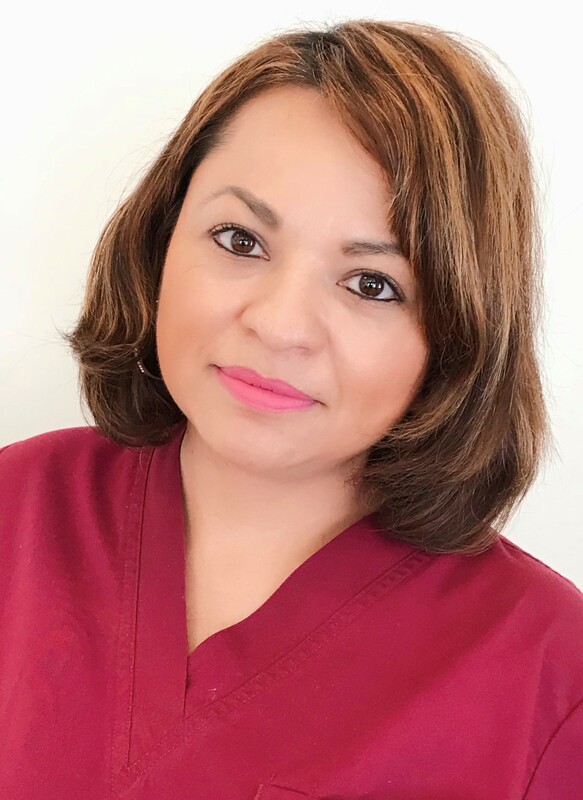 We all appreciate Blanca’s commitment to our residents and look forward to many more years of counting with her professionalism and caring heart.